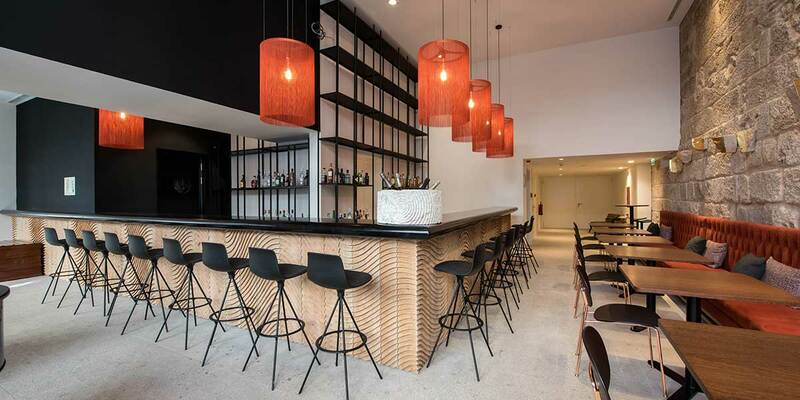 A new design space has reached the Porto’s Ribeira to offer the best drinks, cocktails and innovative dishes in a unique environment. A corner designed for both tourists and business travellers. An exclusive environment where nomads from all over the world can share moments of leisure. 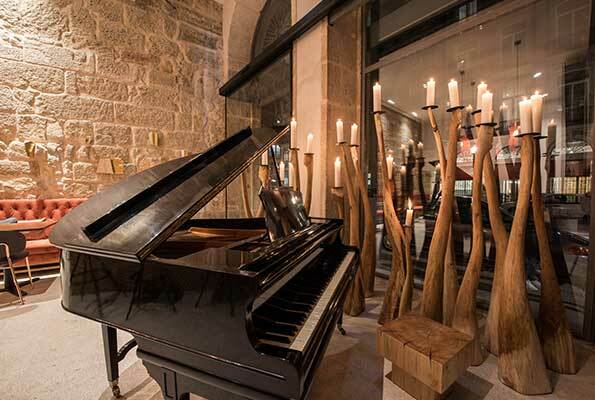 Nomadik hosts a spacious lounge bar, with several pieces by artist Paulo Neves, comfortable benches and armchairs to relax in and a grand piano available to clients, as well as an exclusive and reserved interior terrace. 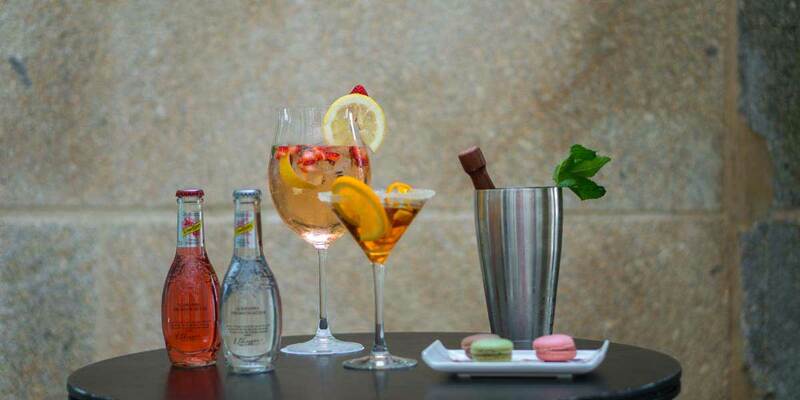 Thanks to its long hours, you can enjoy a drink, try a variety of cocktails and taste typical Portuguese and international snacks at the Nomadik Lounge Bar, all while you get carried away by the music or have a relaxing chat in a modern and exclusive atmosphere designed for leisure. 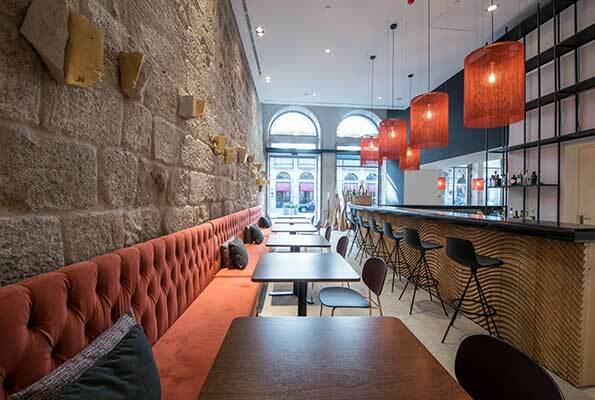 Located in the middle of the hotel, the Nomadik Lounge Bar offers a unique interior terrace full of charm, where you can savour our cuisine and accompany it with a drink or one of our specialty cocktails, all while admiring the traditional architecture of our historic building.